T.I.A. ? This Is Africa ? This is a saying that you learn quite quickly once you set foot on the Dark Continent. It’s a term used by many expats to accompany the sighs of frustration that come on a daily basis when you’re trying to accomplish even the simplest of tasks here in Africa. The lack of urgency in dealing with simple business deals by the Africans, the difficulty in obtaining many goods and services, and the general Hakuna Matata attitude can have the typical westerner throwing their arms up in the air, gritting their teeth, and mumbling curse words under their breath. Then the reality of the situation sinks in and you start to understand that you must go with the flow and take things in stride. It’s Africa. Things move slower. Goods are harder to come by. And business takes longer to transact. That’s the reality of the situation. Love it or leave it. 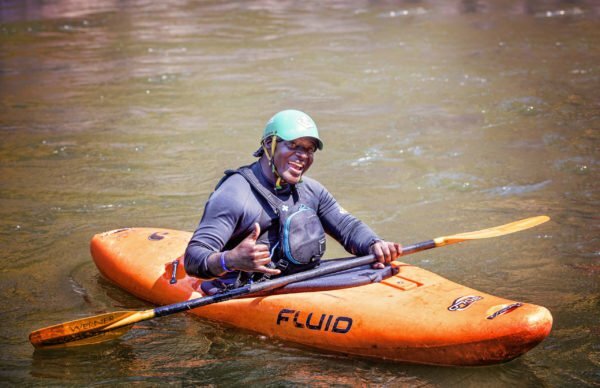 Water By Nature runs whitewater rafting trips in three countries in Africa. I happen to find myself in the heart of southern Africa at the moment in the wild country of Zambia. 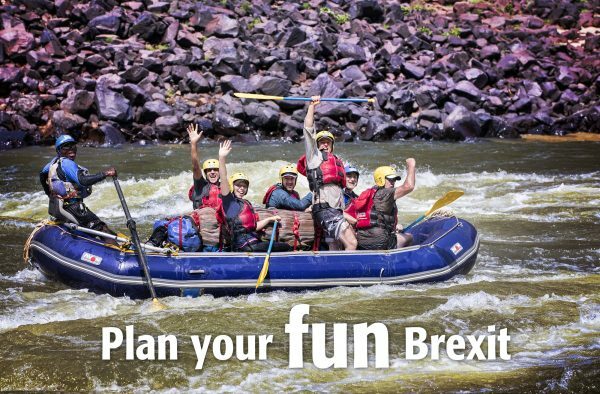 Zambia is home to arguably the greatest whitewater-rafting trip in the world, a multi-day expedition down the Mighty Zambezi River. As a Water By Nature trip leader this destination is doubly challenging: there is the dynamic of organizing logistics in Africa combined with the intimidating force of one of the greatest rivers in the world. A Successful Run Through "The Midnight Diner"
This isn’t my first rodeo as a Water By Nature trip leader. Before Zambia, I was leading the Water By Nature operations in Turkey and Morocco. 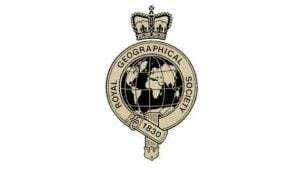 As a result I have experience dealing with logistics in remote and non-western locations. But there’s something about Zambia that’s different. For example, friends have been waiting for 6 months for car parts; propane may or not be available; supermarket shelves are not always full; and your credit card gets rejected on a regular basis not for insufficient funds but because a network connection cannot be established. These are the types of things that you need to deal with on a regular basis. Once you commit yourself to this way of life then things are less frustrating and in general easier. Another wrench thrown into the fray for us here at Water By Nature was one by Mother Nature. Just as high water plagued us in Morocco, the Mighty Zambezi was a wee bit full when we arrived here at the beginning of August. Call it the effects of climate change or just call it bad luck for the 2009 rafting season, but either way, a new plan had to hatch because the upper section of the river, rapids 1 to 7, was closed. Our trip was scheduled to launch on August 9 while the upper river was going to open on August 10. One day does not make a huge difference in water levels but one day can make a large impact on local politics. Not wanting to create a political row we employed that all-so-sfamiliar term in the adventure travel world: Change of Plan. What was to result was a fabulous trip for all those involved. We started our rafting journey by hiking down to rapid 7B and continuing on to rapid 21 on the first day. The second day of rafting took us down to the Narrows and a new beach camp on the Zimbabwe side of the river. The third day culminated at Moemba Falls with Gin and Tonics on the edge of the lower waterfall. And the fourth day was the most unique of all. 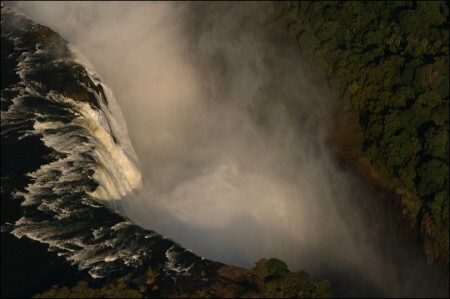 We started with a helicopter ride back to Victoria Falls where we rafted the top section of the river all the way down to Number 25, the best day trip of rafting in the entire world. This trip was full of firsts. It was the first time anyone had journeyed past Rapid 25 this year. It was the first time a rafting trip did the river in this particular order. 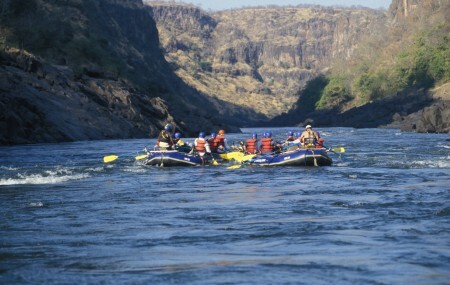 And it was my first trip on the Zambezi as a trip leader. The river did not fail to live up to its reputation. For many years it’s been one of my goals to guide here and thanks to Water By Nature I’ve achieved this one particular goal. 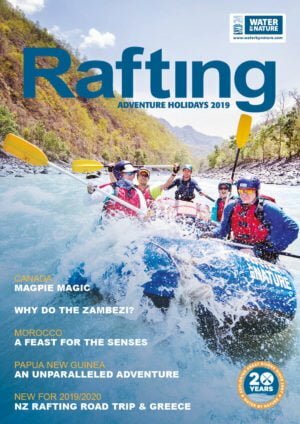 Depending on who you talk with in the whitewater world there are two rivers that continually rank as either one or two as the top rafting trips in the world: the Zambezi River and the Rio Futaleufu in Chile. 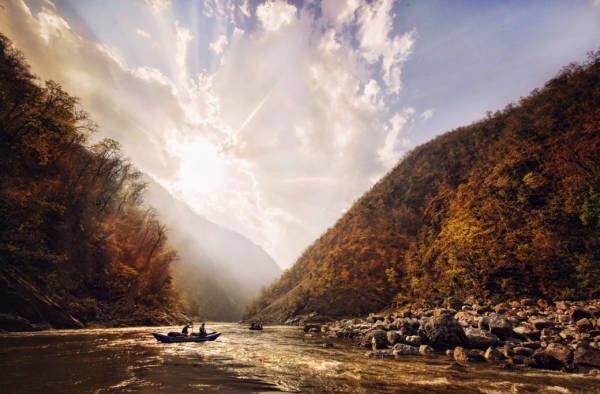 Being an experienced Futaleufu river guide I was eager to get to the Zambezi and decide for myself which is the better of the two rivers. I thought the answer would be easy to find. One has to be better than the other. But the fact of the matter is that both rivers and both trips are so different that it is not really fair to rank one above the other. Both are the best in whitewater. The size of the Zambezi definitely impressed me as did the world-class camping and stunning scenery. In completing my first river trip on the Zambezi the conclusion is quite clear that this is one of the best holidays in the adventure travel world. 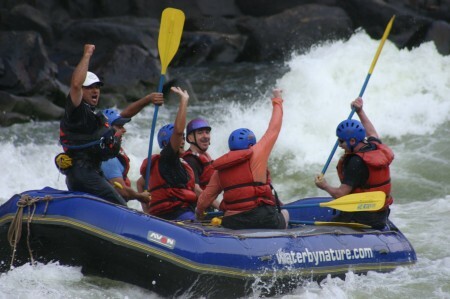 Now that the upper section of the river is open for rafting the rest of the Water By Nature season will operate as per usual; that is 4-day and 7-day rafting trips starting from below Victoria Falls at rapid Number 1. However, there is still the unpredictability of Africa. Anything and everything can happen here. That’s part of the beauty of living, working, and traveling on the Dark Continent. Africa is predictably unpredictable. And remember when you’re traveling here on your next holiday: This Is Africa. It may seem elementary but Africa is not just another continent, it’s a whole different world. See you out here!